Debate: Meet the Censors. How can we handle controversial content? 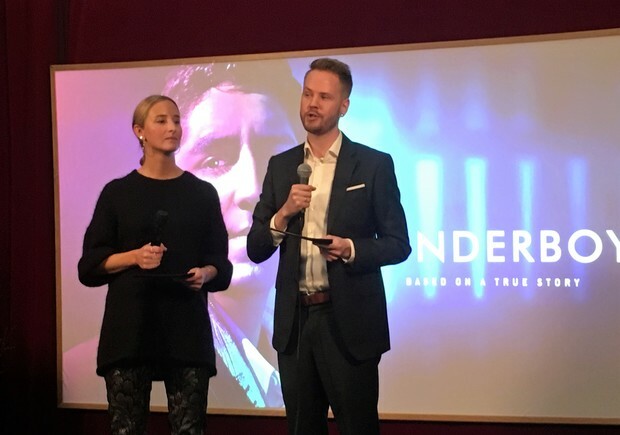 Producer Elisabeth Kvithyll and director Johan Kaos pitched their project Wonderboy. UP is a talent program for female filmmakers, whereof six participants pitched their projects in Norway House yesterday. 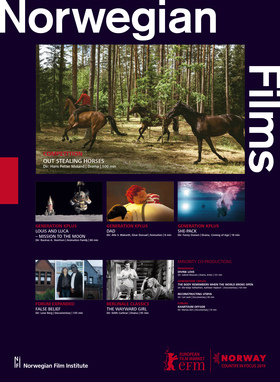 The six filmmakers are Elisabeth Kvithyll, Silje Evensmo Jacobsen, Ingrid Stenersen, Johanna Pyykkö, Erika Calmeyer, Nina Barbosa Blad and Ellen Ugelstad. 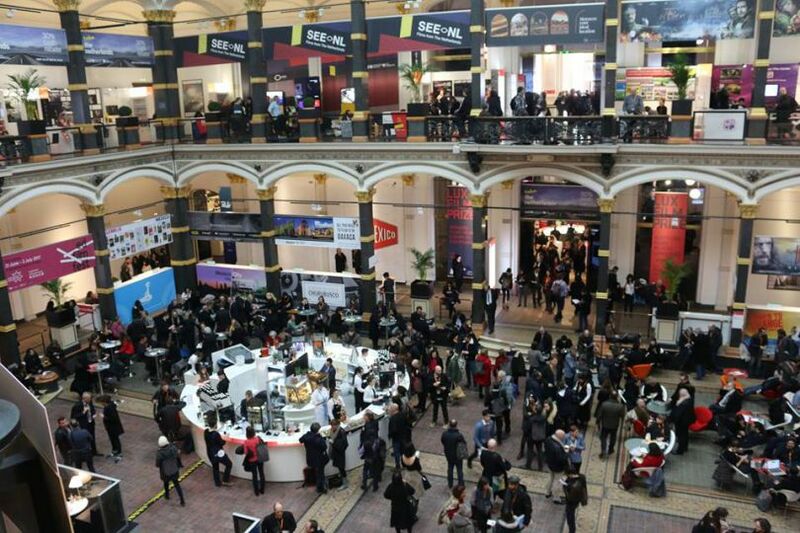 Read more about the projects here. 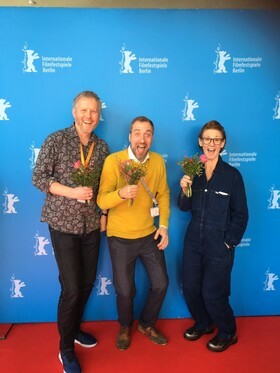 The Norwegian Generation Kplus competitor, the stop motion animation Louis & Luca - Mission to the Moon had its premeire in Haus Der Kulturen Der Welt. 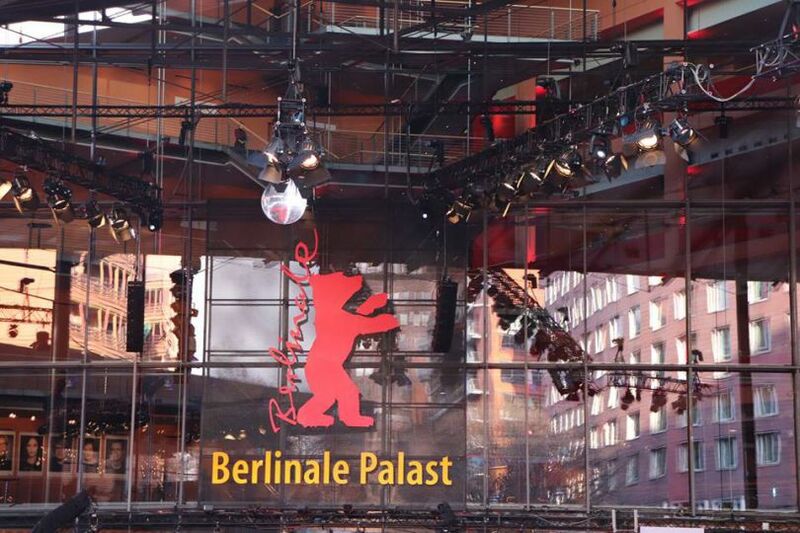 One can see from the creators that it was a hilarious screening. 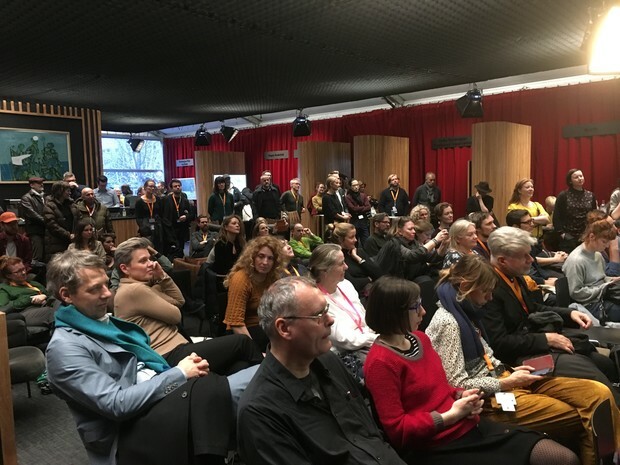 Hans Petter Moland's competition entry Out Stealing Horses, based on Per Pettersons famous novel, had its world premiere yesterday. 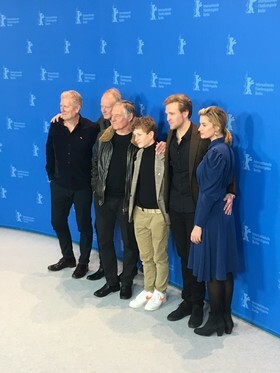 The actors Stellan Skarsgård, Bjørn Floberg, Danica Curic, Tobias Santelmann and Jon Ranes were all present in Berlin with Moland. 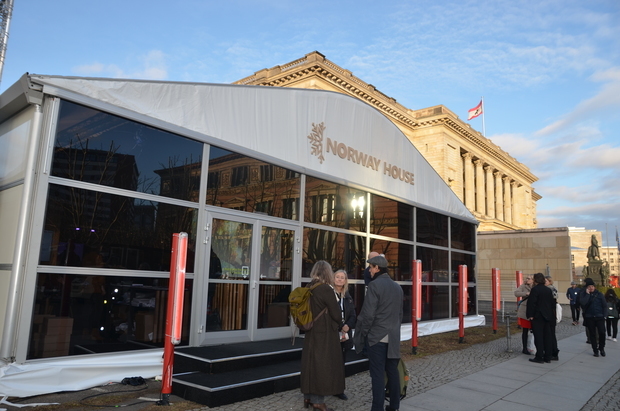 Norway House is located in Niederkirchnerstrasse 5, right next to the Mirror Tent and across the road from the European Film Market in Gropius Bau.